Karl Hochkammer co-leads both the Technology Transactions and Cybersecurity and Privacy practice groups. Karl’s practice is focused on helping clients navigate the complex area where law and technology overlap. 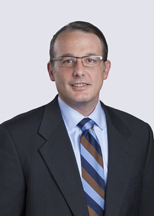 He directs clients through legal, technical, and transactional challenges arising in investment and M&A transactions, technology development and licensing arrangements, and commercial technology procurement and licensing deals in various industries, including automotive, healthcare, manufacturing, and financial services. His experience includes working with clients with respect to their activities relating to the internet of things, autonomous vehicles, mobility, and smart infrastructure. Karl holds a Certified Information Privacy Professional/United States (CIPP/US) credential given by the International Association of Privacy Professionals (IAPP). Karl Hochkammer featured in Law 360 article "5 Ways to Keep Cybersecurity Woes from Derailing a Deal"